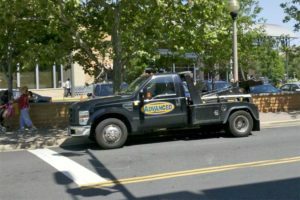 Who Will Tow the Tow Truck? (Updated at 6:00 p.m.) A reader sent us these photos, taken today at the intersection of N. Edgewood Street and Wilson Boulevard. 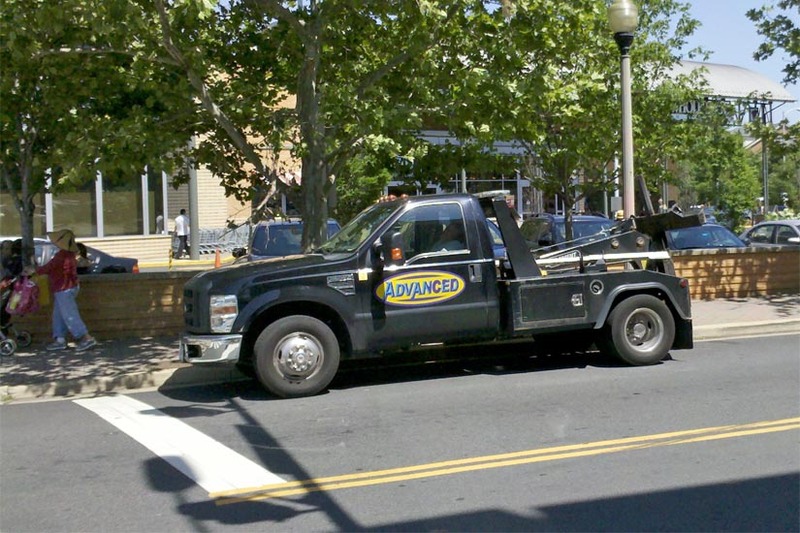 The tipster said he spotted an Advanced tow truck idling in a no parking zone close to the intersection, in front of the Clarendon Whole Foods. 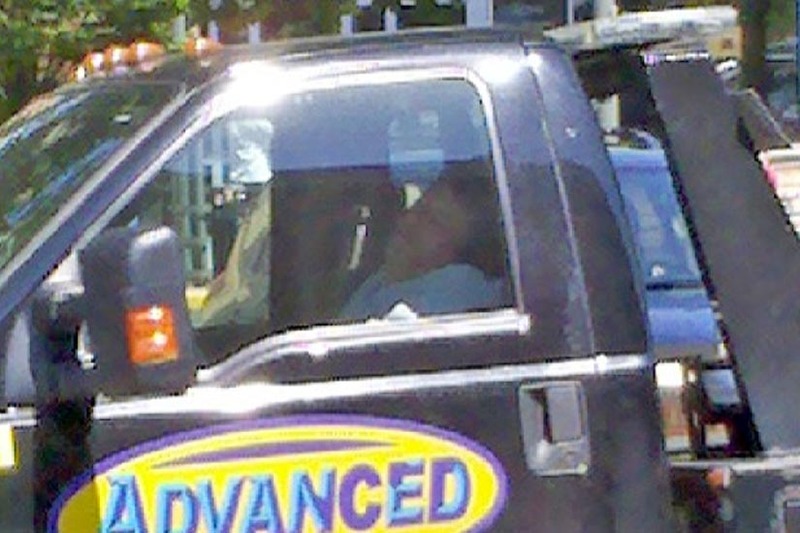 Upon closer inspection, he says he noticed that the driver was asleep and the engine was running. The truck sat there “for at least 45 minutes,” hindering the ability of Edgewood Street drivers to see cars and pedestrians coming up Wilson Boulevard, according to the tipster. “If I did this I’d be towed,” he declared.